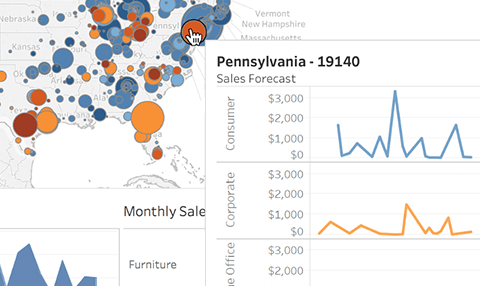 There are a lot of ways to visualize your data in Tableau. 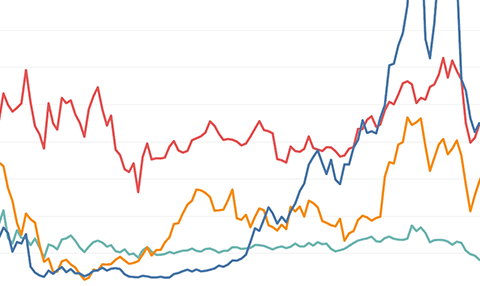 Depending on what you're analyzing, some chart types work better than others. Often, a simple bar chart is all you need to communicate your findings. 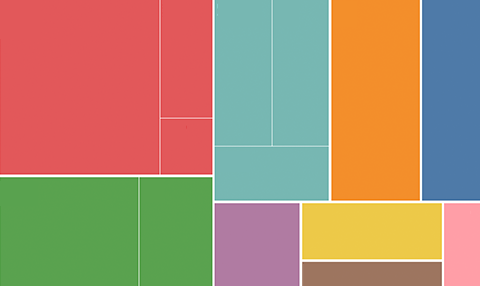 You usually won't need a complex viz to answer all your questions. Bar charts—the most popular chart type in Tableau—make it easy to compare information at a glance. It's best to use a bar chart when comparing data across categories like sales per country. Below are a few examples of when a bar chart works better than other chart types. Which country has the second most sales? Rather than trying to compare colors across dissimilar areas on a map, the bar chart makes comparison easy. The location of each country is not important to this analysis. The question is solely about comparing sales results. Maps are more useful when geographic features are relevant. See exactly what you’re looking for with filters. 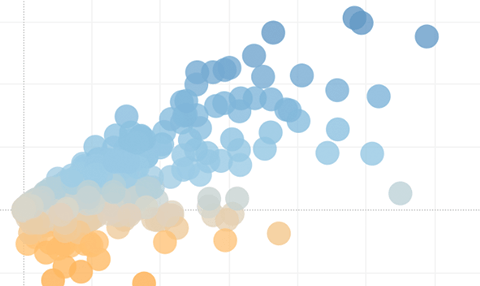 Adding a filter to your viz is simple. Just right-click on a pill and select "show filter." Filters are also the easiest way to add interactivity to your viz for your audience. 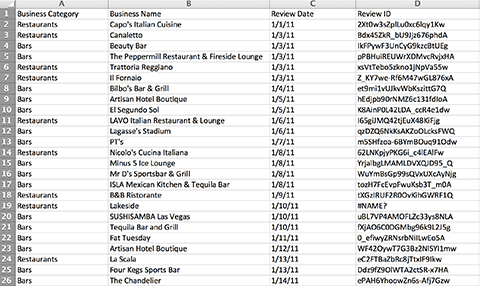 Use your own data or these popular public datasets to practice what you've learned. What fun facts will you find about the 2012 summer Olympic medalists? 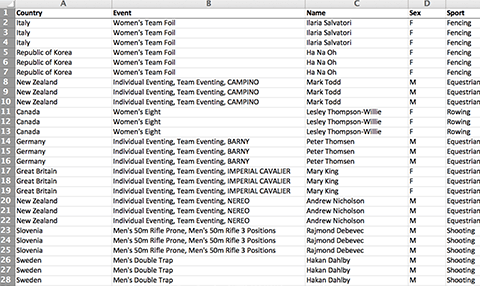 Criteria such as home country, event, medal, and gender are included in the data. Courtesy of The Guardian. The chart or graph type you choose will depend on the information you’re trying to show. In our Whitepaper, Which Chart or Graph is Right For You? we dig into 13 chart types and when to use them. Here are a couple of the most popular chart types. 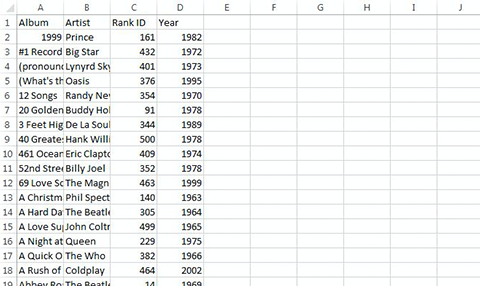 Drag a Date Dimension to Columns. Drag any Dimension that is categorized as a geographic field (globe icon) onto the view. Color is one of the most powerful aspects of a viz. 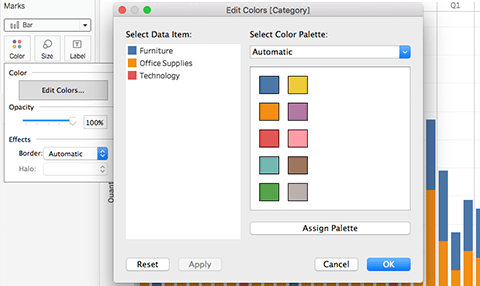 The data should drive the use of color to make a point, not personal favorites or brand colors. Too many colors can create visual overload and impede analysis, so add color when meaningful. Packing text into a viz is a sure way to overwhelm the analysis. However, a strategic use of text can draw attention to key information. When used carefully, labels, annotations, and titles help indicate what’s going on and where to focus. Tooltips are powerful and can convey a lot of information compactly. They automatically appear when a mouse hovers over a mark, and can reinforce the story you're telling. Always consider what is in your tooltip when building a viz. A pill is a field or column of data you want to analyze that you drag-and-drop in Tableau to build your viz. Learn about different pill types. Dimensions contain qualitative values (such as names, dates, or geographical data). 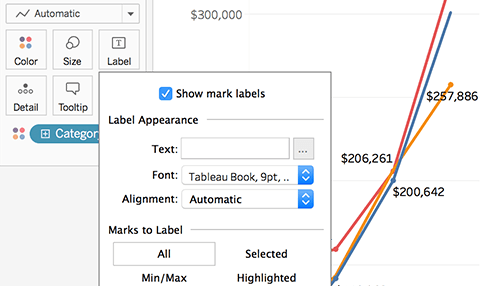 You can use dimensions to categorize, segment, and reveal the details in your data. Dimensions affect the level of detail in the view. Measures contain numeric, quantitative values that you can measure. You can apply calculations to them and aggregate them. When you drag a measure into the view, Tableau applies an aggregation to that measure (by default). Tableau represents data differently in the view depending on whether the field is discrete (blue), or continuous (green). Continuous and discrete are mathematical terms. Continuous means "forming an unbroken whole, without interruption;" discrete means "individually separate and distinct." Most of the time, dimensions are discrete and measures are continuous. However, this isn’t always true. It’s possible to have a numerical dimension be continuous, or to convert a measure to be discrete. For example, right-clicking on a continuous measure brings up the options “Convert to discrete” and “Convert to dimension.” Note that those two operations—converting to discrete and converting to a dimension—are not synonymous.